We, at Marco V Cigars, are in our 8th year of business. Each and every year of business we have grown in revenue and brand equity. It has been a tremendous honor being a part of this rise. None of this would be possible without your support, loyalty, and feedback. Fort that we thank you! Named after the birthplace of Marco V's Grandfather, this is our most flavorful cigar and most unique blend of tobaccos that we have launched. 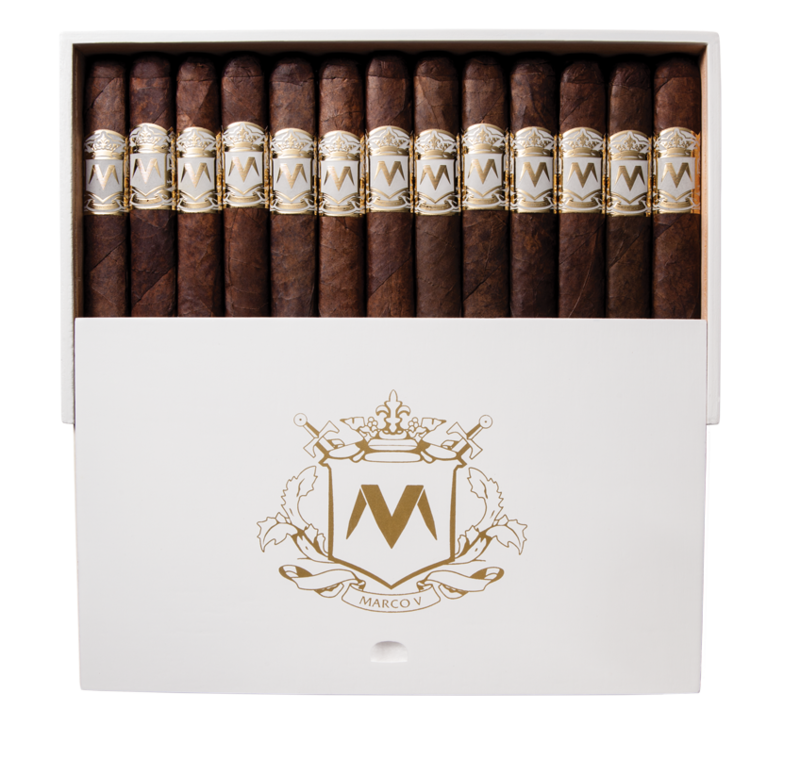 A nutty aroma, hints of cedar, sweet tobacco, clean oak, and a lot of spice... No, we are not talking about the Marco V Platinum Grand Reserve V. Gigante -- but a premium wine that was matched to exhibit the portfolio of flavors that the cigar embodies. We introduce to you... The first ever CIGAR WINE. It was very important for us to grow the highest quality tobacco and to accomplish this we needed to grow in the best growing region in the world. For us that region is La Canela. Our farm in La Canela lies near the River Mao just west of Santiago. La Canela is widely known in the cigar industry to produce the highest quality tobacco in the world. Not one leaf from this farm is used in any other cigar brand. Our plot of land is monitored by mist filled mountains in a location only accessible by horseback. Marco V Cigars Co. was proud to be a sponsor at a great event this past Thursday. 650 people showed up for Minnesota's Largest Cigar Party which benefited a great cause. A lot of money was raised and a lot of fun was had. Giving back to great organizations and to giving back to the community that has supported us from the beginning is a large priority for us at Marco V Cigars. Starting in June 2016, you will now see the words "Triple Maduro" on our Platinum, Diamond, and Gold 60 ring gauge cigars. This designates that we use 3 different Maduro leaves in the filler of each cigar with varying levels of strength. Each of our Marco V Cigar Rollers at the Marco V Fábrica must have at least 15 years of cigar rolling experience. We love the LA area --- the beaches, the city, the mountains, the food are all spectacular... We have been establishing great relationships with well educated cigar enthusiasts and passionate tobacconists to bring Marco V Cigars to the LA area. Next time you are in the LA area drop by one of these great shops and pick up a Marco V! Casa De La V has a brand new store! Casa De La V is the home to the only authorized online Marco V eStore. The new Casa De La V store has an easy to use format for your computer, tablet, and mobile device. The Marco V eStore as accepts all major credit and debit cards. 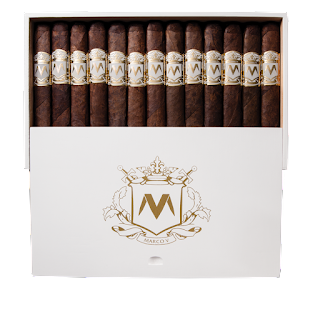 Check out this write up on Marco V Cigars from King Smoking Pipes and Cigars. We are excited to announce The Marco V Republic. The Marco V Republic will be the brand of our private lounges. More details will be released in the coming weeks.